Perl 6 allows us to define classes and roles and grammars, and they all look much the same. So classes get handed a ClassHOW, roles a RoleHOW, and grammars a GrammarHOW. And that's basically how they differ. In theory, if we wanted to give (Rakudo) Perl 6 a bigger repertoire of OO-style package declarators, all we have to do is add a few rules to the Perl 6 grammar, and add a new SomethingHOW metaclass. The operative phrase being "in theory". See, no-one has ever done this, and whereas things are designed for people eventually being able to do that. Right now, you're advised to sit back and wait while some foolhardy person gets a thousand small cuts and bruises trying to make it all work without a hitch. Hm; actually, I have a full-blown example of the diagram DSL, that I might as well show at this point. The above example was written to produce something very much like the third image over at One book, many readings. (Here's a direct link to the image.) Compare the elements in that image and the elements in the BookLayout diagram, and you'll see the similarities. The final line, BookLayout.render(:@books);, would spit out a string full of SVG, or some other scene description format. 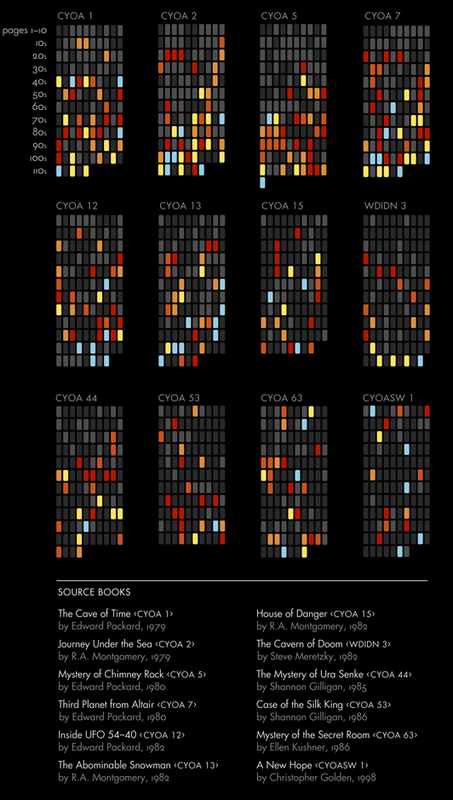 The array @book would contain 12 Book objects corresponding to the 12 books in the image. Anyway, I thought this was a nice idea. It's certainly the best idea for a non-core extension to Perl 6 that I've been able to think up so far. The syntax of the element blocks is reminiscent of Perl 6 regex syntax, but the process is almost a reverse of the one for regexes: whereas a grammar does a complicated dance over a string of text and eventually produces an object hierarchy (a parse tree), a diagram does a complicated dance over an object hierarchy (in this case, a set of Books with sets of Pages) and produces an image. Did I get Rakudo to parse my new syntax? Yes, I did. Here's how to do it. GrammarHOW is defined in src/metamodel/GrammarHOW.pir. I just took that file, replaced every occurrence of Grammar with Diagram, and saved the result as src/metamodel/DiagramHOW.pir. Since GrammarHOW.pir made reference to a Grammar class in src/core/Grammar.pm, I created a Diagram class and saved it in src/core/Diagram.pm. Usually when I made a false step and got an internal error (not shown here), it was because I had neglected to add something to src/Perl6/Actions.pm. At this point, element declarations just called into the normal regex sublanguage. Needed to change this as a final step. +        | '>' :s [from <attribute>]? The above grammar parses my BookLayout example above. I guess the cool thing isn't that it does, but that it parses it inside a regular Perl 6 script. That's what this was all about, after all. The technology is there in Rakudo; it's just not user-accessible yet. Doing this today is not easy. I stumbled upon maybe ten types of internal error along the way, about half of which I never managed to diagnose, but simply got rid of by doing things again, more slowly. Yes, extending the syntax is possible. It's not particularly easy. That's just because the Perl 6 vision isn't fully implemented yet. But there is a roadmap, and we're sticking to it. None of the internals hacking will be needed once this works the real way. I'll still have to modify the grammar and the actions, and I'll still have to add a DiagramHOW metaclass, but I'll do it from the safety of a perl script or a module, not by prying open the Rakudo source files. I'm sure there's a whole heap of errors that could be removed or improved here. Problem is, my usual instinct for submitting bugs gets put on hold when I'm doing naughty things like internals hacking. What would I report it as? "[BUG] Nasty error message after applying this patch to Rakudo"? Somehow that doesn't feel right. After getting diagrams to parse, I have no idea whatsoever how to give them the right semantics. What grammars do is to emit the regexes as specialized PAST nodes. There are no specialized PAST nodes for diagrams. Looking forward to seeing this get much easier over time.